Congrats to AC/DC‘s ‘Rock or Bust,’ which has been voted by the Loudwire readers as the December 2014 Release of the Month. It was a hard fought battle with AC/DC emerging victorious over Bailey’s ‘Long Way Down,’ Starbynary’s ‘Dark Passenger,’ and Smashing Pumpkins’ ‘Monuments to an Elegy,’ who all turned in solid voting totals. AC/DC are already off and running with a pair of powerful singles. 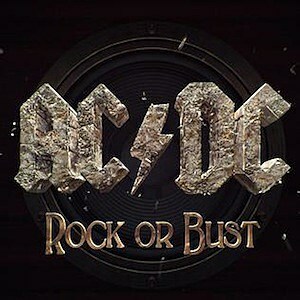 ‘Play Ball’ premiered in a major league baseball promo during the playoffs, while the title track, ‘Rock or Bust,’ has been gaining momentum of late after the recent release of the single and fan-filled video. AC/DC have already teased the fact that they’ll be back on the road in 2015. So keep an eye out for dates coming soon. And if you want to pick up AC/DC’s ‘Rock or Bust’ album, it’s available for pre-order at Amazon, iTunes and Google Play. The disc officially drops Dec. 2. Once again, congrats to AC/DC as ‘Rock or Bust’ has been voted the Loudwire December 2014 Release of the Month.